Arexim Garden is a manufacturer of Roman blinds. Roman blinds are suitable for living-room, kitchen, bedroom, restaurant, office, hotel. Roman blinds are perfect choice for people who want to combine the functionality of the roller blind with the elegance that a curtain brings in the room. 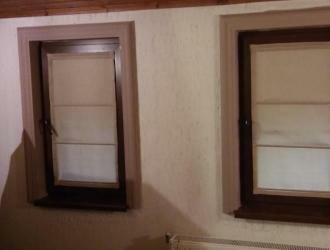 The fabrics for the Roman blinds are semi-transparent or black out. There is an option for producing of the Roman blind with a customer's textile that matches other elements of his interior. Option for child safety devices.